There is a love for live theater in Nebraska that simply cannot be ignored. From historic grand theaters to community theaters run entirely by volunteers, there are plenty of places to catch a live show, featuring some of the best local and national talent. Check out these 10 best places to catch a live performance in Nebraska. The Orpheum in downtown Omaha is one of the most popular performing arts theaters in the state. It has been around for nearly a century and recent renovations have restored its ornate decor and enhanced the acoustics throughout. It’s also listed on the National Register of Historic Places. The Omaha Community Playhouse is famous for being the largest community theater in the nation. Local talent takes the stage with more than 10 productions per year. It’s a cultural favorite in Omaha! In collaboration with professional artists-in-residence, students, and faculty members, the University of Nebraska-Lincoln produces a variety of quality theatre experiences for locals every year. The Lofte Community Theatre in Manley is on a mission to bring the arts to the more rural parts of the state. From “Steel Magnolias” to Monty Python’s “Spamalot,” there are shows for everyone’s taste. The Stage Theater is a nonprofit community theater in the heart of historic downtown Hickman. The talented actors and musicians who put on awesome performances in this intimate space will leave you in awe! 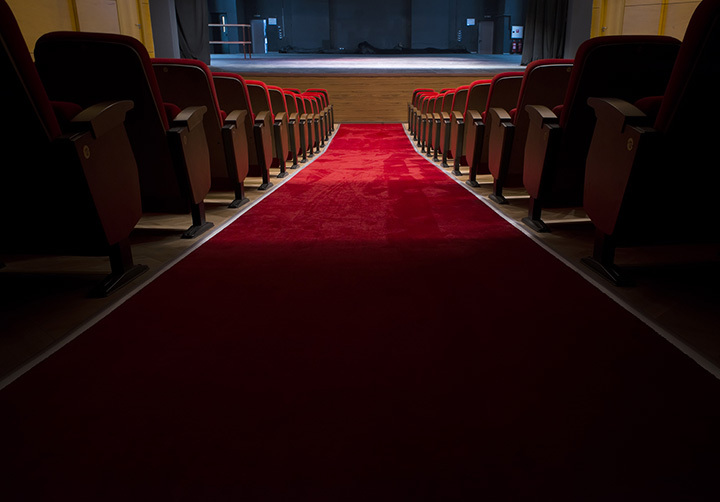 The Midwest Theater in Scottsbluff is a stunning, historic, and multi-purpose cultural venue that features live entertainment, films, music, and theater performances. It is also listed on the National Registry of Historic Places. At the Lincoln Community Playhouse, local residents can catch spectacular shows all year round. The theatre strives to provide events that are both entertaining and affordable for a multi-faceted audience. If you’re in the mood for an award-winning production or original new play from local and international talent, the Shelterbelt Theatre in Omaha has you covered. From the moment the curtain is drawn, you’re bound to have a great time! Stop dreaming about the opera and make your way to the Kearney Community Theatre. With five main-stage shows per year and two children’s productions, the theater has entertained audiences with over 100 plays in the last 20 years. Looking for a spectacular night out in Omaha? The Blue Barn Theatre is nationally-recognized for its presentations of contemporary American playwrights and for showcasing the local talent of Omaha-based playwrights. Check out a show and explore its recently expanded space.